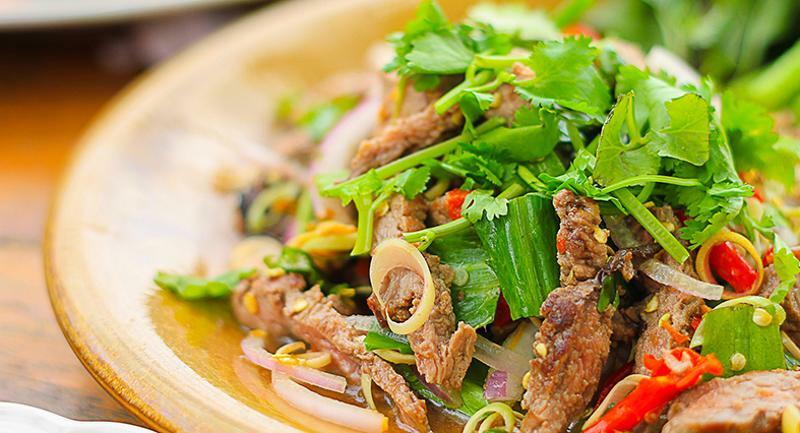 Hot and spicy flavors continue to appeal to diners, especially younger consumers, according to Technomic’s Flavor Consumer Trend Report. These five recipes use a variety of chili peppers, spicy sauces and hot seasonings to satisfy heat seekers. Chef Deunsing makes this signature marinade in house, using green habanero hot sauce as a base. 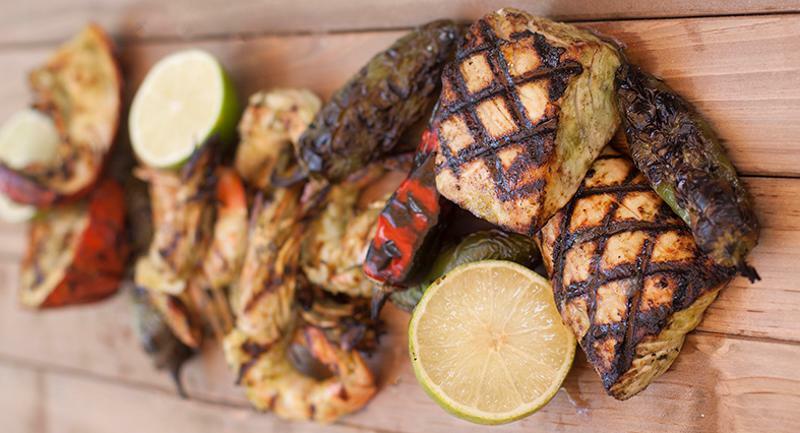 Its bright flavor and color complement grilled mahi mahi, shrimp or summer vegetables. 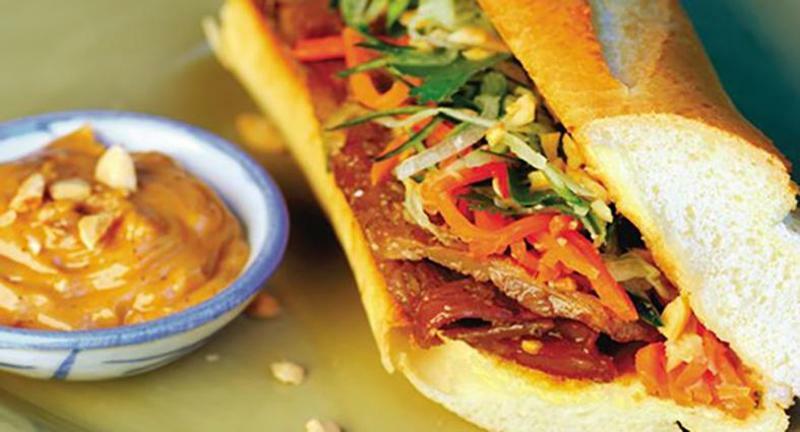 The baguettes used in banh mi sandwiches reflect the French influence on Vietnam when the country was part of French Indochina. Vietnam-born chef Pham gives the classic preparation a crunchy contrast with marinated carrots, cucumber and roasted peanuts; green herbs add fresh notes, and a spicy peanut aioli offers a welcome creaminess. Along with their heat, scotch bonnet peppers have a slight sweetness—a characteristic that Executive Chef Derek Simcik highlights in this sauce recipe. To add even more complexity to the flavor profile, he chars the peppers before combining them with pineapple juice and tart apple cider vinegar. 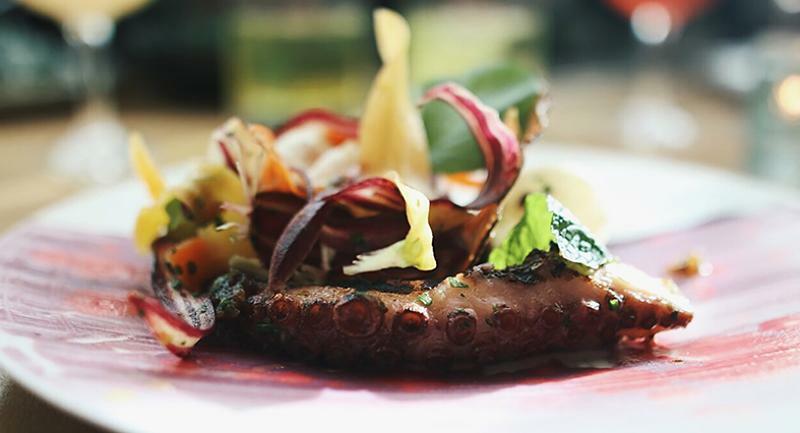 Fold this sauce into softened butter and use a dollop to finish grilled octopus or oysters for a touch of sweet heat. Rick Bayless is a pioneer in bringing authentic, regional Mexican food to American diners through his Chicago restaurants, TV cooking shows and culinary tours. 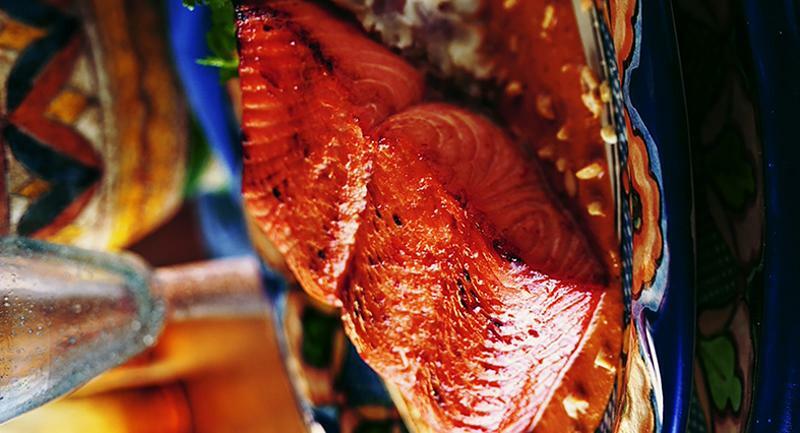 Here, he uses two varieties of chiles to create a salsa and glaze for salmon. The wide array of chili peppers available these days can be combined to ramp up the flavor and excitement of dishes. 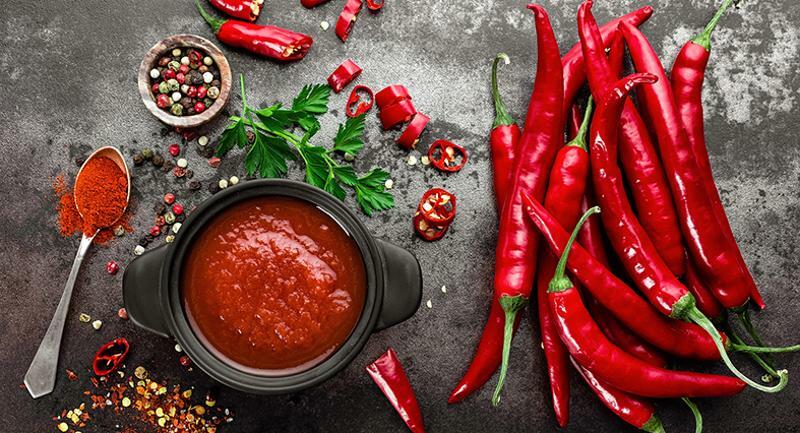 In this recipe from Rosa Mexicano, an 11-location full-service restaurant, the kitchen contrasts hot and cold temperatures and crisp and soft textures to offset the spice levels of the jalapenos, chipotles and chiles de arbol.